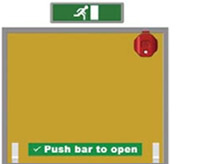 The STI 6402 is a compact exit alarm suitable for double door applications. 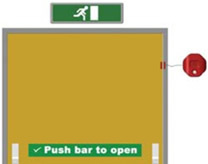 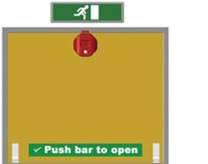 Fitted with a key override to reset the alarm or allow temporary access, the STI 6402 features a 97 dB internal sounder which activates upon opening of the emergency fire exit. 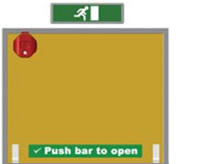 Manufactured from durable polycarbonate, the 6402 has a lifetime guarantee against breakage during normal use. 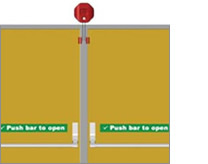 This is the technical data for the Exit Stopper Door Alarm - Double Door - STI 6402.